Car Wash Insurance Texas. Car washes provide facilities for cleaning automobiles and other motor vehicles. Some are drive-through with either partially or fully automated conveyance of the vehicle throughout the operation. Hand washing, waxing, or interior cleaning of the vehicle may be offered, with customers sent to a waiting area. Damage to the customers' vehicles is the primary exposure as machinery and washes can break antennas, pull off stripping, crack glass and damage tires. Some car washes are totally self-service, with the customer doing the cleaning. A few car washes offer off-premises services that clean customers' vehicles at their home or place of employment. Owning a TX car wash can be a really exciting and lucrative business. But if you want to be successful and protect yourself when things go wrong then you are going to need certain types of commercial insurance. Let's take a look at some of the reasons that you might need insurance as a car wash and what options are available to you. There are definitely some risks associated with running a car wash. A car wash can be a dangerous place no matter which type of you have. 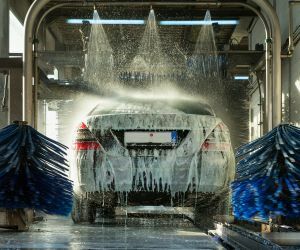 Some of the potential risks that come with having a car wash include fire or vandalism, theft, wrongful termination claims and employee injury claims, damage to equipment or premises due to weather or natural disasters, the breaking down of expensive car wash equipment and damage to vehicles that are being watched your facility. You definitely want to look at the risks in protect yourself from as many of them as you can with the right car wash insurance Texas plan. Car wash insurance Texas protects your business from lawsuits with rates as low as $67/mo. Get a fast quote and your certificate of insurance now. The first type of car wash is the self-serve. These are usually unattended and everything is automated (in-bay automatic). This is a significant investment, but it can be run 24 hours a day, 365 days a year, without having to manage it yourself or hire employees. The other type of carwash is the full-service. A full-service carwash is usually only open during certain hours and has actual employees that will clean cars, including the interior detailing and hand wash - so it will require different insurance options than the self-serve car wash. The first type of insurance is general liability insurance. This covers things like someone slipping in your place of business or a part of your carwash malfunctioning and damaging someone's vehicle or injuring them. Commercial liability insurance is absolutely vital for a carwash business. Property insurance is a good idea for any business that has premises where employees work or where customers come. Property insurance protects you from fire, natural disasters, vandalism, theft and more. Property insurance and liability insurance are sometimes grouped into the same umbrella policy. One of the unique types of car wash insurance Texas you may want to consider is garage liability insurance. This is a special type of insurance that auto repair shops and car washes can sign up for that protects them much more fully if someone's vehicle is damaged, the car is stolen or something else happens. If you are providing a service for a vehicle such as mechanical work or a car wash, then you probably want to sign up for garage liability to make sure that if a major incident ever does happen that your business is protected. A car wash requires a great deal of expensive equipment, and when that equipment breaks down, it can be detrimental to the business owner and the employees that work there because the carwash will not function. Equipment breakdown insurance protects you against this possibility. If your carwash must has to close foe repairs due to a covered loss, this coverage can replace your lost income and help with temporary extra expenses if you must relocate your business operations for a period of time. If you have a full-service car wash, then you might have employees that work for you, and if that's the case then you most likely are going to need workers comp. Worker compensation insurance is there to pay for medical bills from work-related accidents, illnesses or injuries. Premises liability exposure is from slips and falls due to public access to the premises. If there are customer waiting areas, floor coverings should be in good condition with no frayed or worn spots on carpet and no cracks or holes in flooring. Steps and uneven floor surfaces should be prominently marked. Sufficient exits must be provided and be well marked, with backup lighting systems in case of power failure. Proper attention to housekeeping is required to prevent slips and falls from water, detergents or waxes or from icing during winter months. Parking lots and sidewalks need to be in good repair with snow and ice removed, and generally level and free of exposure to slips and falls. All machinery and equipment used in the operation should be well maintained to prevent property damage to customers' vehicles. Car washes done at customers' premises can result in damage to the customer's real or personal property. Environmental impairment exposures are due to the detergents and waxes used in the car washing operations and the solvents used for cleaning and maintaining equipment. Adequate procedures should be in place to prevent these hazardous wastes from contaminating the soil or polluting water sources. Contracts should be in place to dispose of all environmentally dangerous chemicals. Workers compensation exposure can be high due to the potential for slips and falls and for employees to be injured by vehicles or automated washing equipment. Proper attention to housekeeping is required due to the water, detergent and waxes used in operations and to prevent icing during winter months. All equipment used in the operation must be properly maintained to prevent vehicles from rolling off conveyances. Improper lifting can result in back injuries, sprains, strains, and hernias. Exposure to the elements can result in sunburn, heat exhaustion, or heat stroke during the summer and frostbite and hypothermia during the winter. The use of soaps and waxes can cause dermatitis. Due to the large amounts of cash on hand, hold-ups are possible. Employees should be trained to respond in a prescribed manner. Property exposure comes from the machinery used to wash, wax, and dry vehicles as they are conveyed through the car wash. All electrical wiring must be well maintained and meet current codes. If the car wash is self-service, there is a potential for vandalism. Attendants help cut down on problems. Locations should be on well traveled and patrolled areas that are well lighted. Equipment breakdown exposure is high as the business is dependent on its machinery for conducting operations. Replacement parts may be difficult to obtain on a timely basis. Crime exposures are from employee dishonesty and theft of money and securities. Employee dishonesty is controlled through background checks, inventory monitoring, control of the cash register, disciplined controls and division of duties. Theft of money and securities prevention requires controls of monies kept in the cash drawers and bank drops made throughout the day to prevent a buildup of cash on the premises. Self-serve car washes may include coin- or currency-operated vending operations. These should have automated coin counters. An attendant should be on duty at all times to prevent vandalism and break-ins. Inland marine exposures come from computers due to automated machinery used in car wash operations, signs, and valuable papers and records for customers' and vendors. There may be accounts receivable if the car wash offers credit to business customers and goods in transit if there are multiple locations. Commercial auto exposure is generally limited to hired and non-owned for employees running errands. If there are owned vehicles, any regular driver should have a valid license and an acceptable MVR on record. All owned vehicles must be maintained with documentation kept. You should definitely talk to a insurance broker and find out what your commercial car wash insurance Texas options are. When you have a TX car wash, there are some options above and beyond the normal types of insurance that every business needs. Understanding what these additional options are and how you can get the best umbrella insurance plan will allow you to be fully protected while still saving money on insurance premiums. 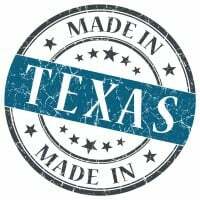 Request a free Car Wash Insurance Texas quote in Abilene, Allen, Alvin, Amarillo, Arlington, Austin, Balch Springs, Baytown, Beaumont, Bedford, Benbrook, Big Spring, Brownsville, Bryan, Burleson, Carrollton, Cedar Hill, Cedar Park, Cleburne, College Station, Colleyville, Conroe, Coppell, Copperas Cove, Corpus Christi, Corsicana, Dallas, DeSoto, Deer Park, Del Rio, Denison, Denton, Duncanville, Eagle Pass, Edinburg, El Paso, Euless, Farmers Branch, Flower Mound town, Fort Worth, Friendswood, Frisco, Galveston, Garland, Georgetown, Grand Prairie, Grapevine, Greenville, Haltom City, Harker Heights, Harlingen, Houston, Huntsville, Hurst, Irving, Keller, Kerrville, Killeen, Kingsville, Kyle, La Porte, Lake Jackson, Lancaster, Laredo, League City, Leander, Lewisville, Little Elm, Longview, Lubbock, Lufkin, Mansfield, Marshall, McAllen, McKinney, Mesquite, Midland, Mission, Missouri City, Nacogdoches, New Braunfels, North Richland Hills, Odessa, Paris, Pasadena, Pearland, Pflugerville, Pharr, Plainview, Plano, Port Arthur, Richardson, Rockwall, Rosenberg, Round Rock, Rowlett, Sachse, San Angelo, San Antonio, San Benito, San Juan, San Marcos, Schertz, Seguin, Sherman, Socorro, Southlake, Sugar Land, Temple, Texarkana, Texas City, The Colony, Tyler, University Park, Victoria, Waco, Watauga, Waxahachie, Weatherford, Weslaco, Wichita Falls, Wylie and all other cities in TX - The Lone Star State.